Cocktail connoisseurs and wine lovers in the Midlands are in for a treat again this year, as two of the best-loved festivals make their grand return. Living For The Weekend is bringing back both the hugely popular Birmingham Cocktail weekend, and sister festival, Birmingham Wine Weekend, and they are set to cause a stir. Birmingham Wine Weekend 2019 is set to be a corker! Following the huge success of the festival’s debut last year, Birmingham Wine Weekend is back and will be taking over the city for the second year from 22 – 24 March 2019. The first festival of its kind outside of the capital, the three-day event gives wristband wearers the opportunity to try glasses of premium wine for just £4. This year, the festival is taking things to new heights, shaking up what’s on offer with the introduction of wine cocktails and food-pairings, and of course a stellar line-up of exclusive events from tempting tastings to delicious dinners. To keep up to date with all the latest news, follow Birmingham Wine Weekend on Facebook and Twitter. To find out more information or to purchase a wristband, please visit http://birminghamwineweekend.co.uk. Birmingham Cocktail Weekend is shaking up the city for fifth year anniversary! 2019 marks a huge year for Birmingham Cocktail Weekend as it celebrates its fifth birthday. To mark the occasion, Living For The Weekend is extending the festival fun by an extra day, starting on Thursday 11 July and running all the way through until Sunday 14 July. That’s right, it’s four unmissable days of exclusive events, signature cocktails, and the city’s best venues! Last year saw the bar industry’s biggest names join forces with the city’s hottest bars and restaurants and welcomed over 4,000 cocktails lovers into the city centre and saw over 35,000 cocktails served up throughout the weekend. 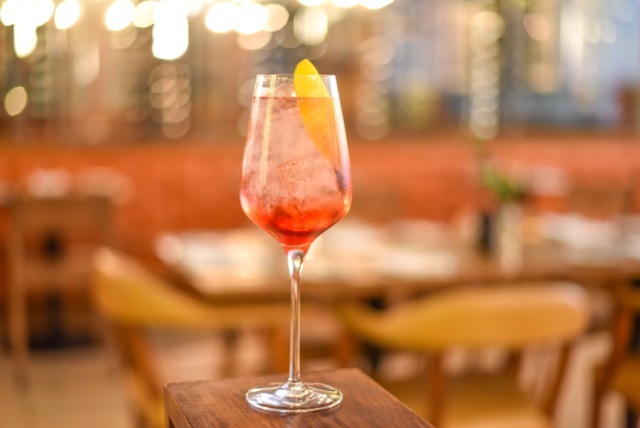 This year, more cocktail-revellers than ever before are expected to embark on the city for Birmingham Cocktail Weekend 2019, where each venue will create an exclusive signature cocktail available for just £4 to wristband wearers throughout the duration of the weekend.